Hermann Anton Haus was Institute Professor at the Massachusetts Institute of Technology (MIT) (1954-2003). His research interests included optical communications and quantum optics. August 8, 1925Birth, Ljubljana (Slovenia) (Ljubljana, Yugoslavia). 1949Obtained BSc, Union College, New York, New York (N.Y.). 1951Obtained MEE, Rensselaer Polytechnic Institute, Troy (N.Y.). 1954Received ScD in Electrical Engineering, Massachusetts Institute of Technology (MIT), Cambridge (Mass.). 1954 – 2003Assistant Professor of Electrical Engineering (1954-1958); Associate Professor of Electrical Engineering (1958-1962); Professor of Electrical Engineering (1962-1973); Elihu Thompson Professor of Electrical Engineering (1973-1986), and Institute Professor (1986-2003), Massachusetts Institute of Technology (MIT), Cambridge (Mass.). 1995Awarded National Medal of Science. May 21, 2003Death, Lexington, Massachusetts. Obtained ScD in Electrical Engineering (1954). Assistant Professor of Electrical Engineering; Associate Professor of Electrical Engineering; Professor of Electrical Engineering; Elihu Thompson Professor of Electrical Engineering, and Institute Professor. 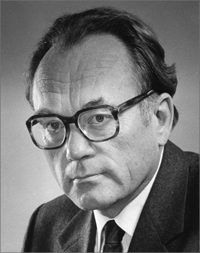 Hermann A. Haus response to Laser History Project Survey, 1983. Electrodynamics of moving media [by] Paul Penfield, Jr., and Hermann A. Haus. Noise in electron devices, edited by Louis D. Smullin and Hermann A. Haus. Hermann Anton Haus Physics Today obituary.